"Wana Know about Digital Marketing with a deep and clear understanding. Learn Digital is the best Place for you. I joined Learn digital Academy with some faded knowledge of DM and they made them very clear. Starting From SEO to Google Adwords. They made me confident enough at least to answer what they really mean to the digital world out there. Searching for Digital Marketing courses. I suggest come down here and become a Pro :) "
"Got a good exposure of Digital Marketing. The trainer is good and very skilled. High-quality study room, wifi to everyone. " "Wonderful place for learning digital marketing in Bangalore jp nagar. Supportive trainers, good learning experience. " "Dedicated and experienced faculty, Very helpful in building a career in Digital Marketing uses practically oriented classes. " We thank you for sharing your positive feedback. We value your feedback and constantly work to further improve our services to our students. "I always want to enhance my knowledge in digital marketing and i did a brief enquiry and came up with learn digital academy, i would recommend every one who want to learn digital marketing from this institution. Especially my trainer Hema Latha was a great help in making me understand the fundamental values to become a digital marketer." "Excellent center for learning the core modules of digital marketing. Learn Digital had helped in understanding the core modules of Digital Marketing . They will take the course by covering majority of the practical sessions which was very helpful. " "Would recommend anyone who is interested to know what digital marketing is. They concentrate more on practicals and less on theory based knowledge. So practically you have sufficient knowledge to score a good interview. " "Best digital marketing academy to learn digital marketing course in Bangalore, flexible and convenient for working employees, freshers who wants to enter or learn digital marketing. " "I joined the Academy to understand and learn more on the Digital Marketing concepts. The trainers were really helpful throughout my learning sessions. The best part is you get hands on experience while you are learning new concepts. Though I had some prior knowledge of the concepts, through the course I could learn the A-Z of all concepts which has been really helpful for my career as a Freelance Social Media Marketer. And also once can practice at the academy and also work as an intern. I really enjoyed the sessions. The trainer did a wonderful job in answering my queries, doubts and also guided me in my Website creation, Social Media pages and on the whole it was an enriching experience. " "Learn Digital Academy is essentially very handy at their service in providing training for Digital marketing. The trainers are well qualified at their job and go beyond a classroom teaching taking into account the daily growing needs of digital upgrades. The ambience is also very suited to learning. Thumbs up Learn Digital Academy. " "Good place to learn Digital marketing in Bangalore is LEARN DIGITAL ACADEMY they provide high class training for students.They will help you any time of there students to get more knowledge about the digital marketing course. The training faculty are friendly and knowledgeable and people who are looking for digital marketing course I preferred learn digital academy. Thank to kishore sir and nikhil sir. " "Best Digital Marketing Training Institute in Bangalore. Loved their Process of Practical Training and Placement Process. 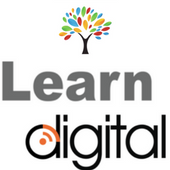 Thank you Learn Digital. Thumbs up. " "Learn Digital Academy is One of the Best Training Institute I got and Very Friendly Environment. Surely I will Recommend my friends this Learn Digital Academy for digital marketing courses in Bengaluru and this is the best place to learn the effective Digital Marketing Techniques. I am Really Thankful to Kishore sir because he described each and every topic with very well Examples. Kishore Sir Covered all the topics very Nicely with Flexible Timings. I am Very Satisfied with Learn Digital Academy and my Special Thanks to Kishore Sir and Entire Team of Learn Digital Academy. " "The best place to learn digital marketing skills. Learn Digital Academy will not only get your fundamentals clear and strong but will educate you on the advanced technicalities of digital marketing too. The teaching faculties are very friendly and provide a complete Practical training Classes. Thumbs up for the Institute. " "It's a place of Excellent knowledge and friendly environment. Daily practicals and availability of backup classes are a very good help for the students. " Hi, I am pursuing MBA 1st Year. I want to learn Digital Marketing. Is it right for career growth, or should I choose to learn some other technologies? If yes, please give me your suggestions that help me to get a JOB in the IT Sector. Digital Marketing is Marketing on Any Internet Device. You already know the Marketing methods and Successful Techniques. Through Digital Marketing you can use your Knowledge to reach more no. of people and target higher Audience. Here you can continuously see the ROI on your Ad Budget. Learn Digital Academy conducts classes in Affiliate Marketing, Content Writing and Digital Marketing Training. It is located in J P Nagar, Bangalore. It takes Regular Classes- at the Institute. It has got 24 reviews till now with 100% positive feedback.